So you have picked out that perfect invitation and now you are ready to order! Congratulations! You’ve made it! Now all you have to do is order them, receive them, and then mail them out! It may seem like a long process from beginning to end. After all you probably started looked at wedding invitations a looonng time ago. For some Brides and Grooms it has been over a year! But the day is here and it’s time to order them so that you can put them in the mail and let everyone know that you are getting married! So if you are stressed out about the final step of the invitation process, don’t worry we are still here and ready to help. After all this is what we do best! Keep in mind that you should be ordering your invitations approximately 6-7 months prior to your wedding day and sending them out approximately 6-8 weeks BEFORE the RSVP date. However we do understand that sometimes time gets away from you and before you know it your wedding day is around the corner! Do not fret, you may still be able to order that perfect invitation but please try to get that process started sooner rather than later! But if you are crunched for time be sure to start looking and getting ready to place that order right away. Always try to call in advance to book an appointment: Be prepared to be here at least an hour, if not more. Ordering your invitations is a task that we take very seriously and we want to make sure that no one feels rushed. This way you can have valuable one-on-one time with a sales associate. Always write it out: We recommend that you take the time before you come in to think about how you want your invitation to be worded. Typing up a draft of your invitation on the computer beforehand and bringing it with you when you order can be very helpful as it gives everyone involved in the ordering process a sense of the flow of your invitation. Don’t worry about fancy fonts when you are working on your draft, Times New Roman or Arial 12 point font is all you need. Even writing it out by hand can be acceptable. 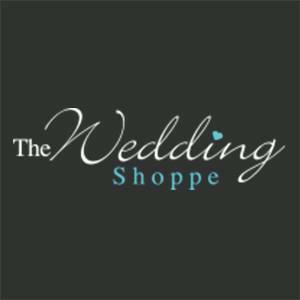 Always order a proof: At The Wedding Shoppe a digital proof in PDF form is sent to you via email after you have placed your order. Typically it takes 2-3 business days for your PDF proof to be ready for you to view. We insist on a proof of your wedding invitation for a number of reasons. 1) To make sure that all spelling in your proof is correct, 2) to make sure that the font you have chosen looks nice and is easy to read, 3) that your invitation is exactly the way you imagined it to be. When you receive a proof we highly recommend having someone else read over the proof to double check spelling, dates, times and locations. Someone who has not been through the rigorous ordering process as they are more likely to catch any mistakes that might occur. Always expect that some assembly will be required: Remember that the more elaborate your invitation the more assembly you will have to do once your receive it. The majority of invitation companies do not preassemble wedding invitations for you. This means that you will have to make sure that you budget for that extra time. But that’s OK, remember this is what the members of your bridal party are for! To help you with things just like this. Just remember do not reward them with any wine or spirits until AFTER the project is complete! Always bring a preassembled copy of your invitation to the post office prior to mailing them out: Bringing a copy of your fully prepared wedding invitation will help you and the post office determine if there will be any extra fees associated with mailing out your wedding invitation. Remember, the bigger the invitation the more likely that the postage will be higher. Never put a invitation in the mail assuming a regular stamp will do it always take a sample to the Post Office and have them help you determine the proper postage for your invitations. Addressing your invitations: Typically when you address an invitation this is the hint as to how many people have been invited to the wedding. So if you are addressing your invitation to “Mr. and Mrs. Smith” then both Mr. and Mrs. Smith are invited to your wedding. However if you are strapped for room (and budget) and only wish to invite one person addressing an invitation to read “Mr. John Clarke” indicates that Mr. Clarke is invited to your wedding but he has not been asked to bring a guest. If you wish to invite Mr. Clarke and a guest then you would address his invitation as follows “Mr. John Clarke and Guest” the same goes for a family. You can send a family (providing they all live in the same house and are under the age of 18 and you do not wish to ask the 18 year old to bring a guest) one invitation and address it as follows “Mr. and Mrs. Jones and Family” this indicates that both Mr. and Mrs. Jones are invited as well as their children. Always make sure you have a stamp on your RSVP envelope: When you are addressing your invitations always make sure to include a stamp so that your guests are able to return their RSVP to you on time. Always make sure your invitation has a return address: This might sound silly to some but always make sure that you have put a return address on the outside of your wedding invitation. Generally you have two choices when it comes to this. You can have the invitation company print your return address on the outer envelope for you or you can put it on yourself (either by writing it out by hand or by purchasing self adhesive clear labels from your local office supply store). Having a return address ensures that if for some reason your guests mailing address is incorrect the invitation will come back to you and you will know that they did not receive it. The return address also gives the guest a hint of who the mail is from and is more likely to be opened rather than discarded. Always confirm mailing addresses before mailing your invitations: As much as possible confirm your guests mailing addresses before you mail out their invitations to them. You don’t have to do this yourself (you likely have enough to do at this point!) we suggest asking your parents or a close relative to contact people on your behalf. There you have it. You have ordered your invitations, you have assembled them and addressed them. You have taken them to the post office to check the postage. You have them all ready to go. Now to drop them in the mail and await for the RSVP’s to come flowing in! Next Post The Unity Sand Ceremony – Everything you need to know!